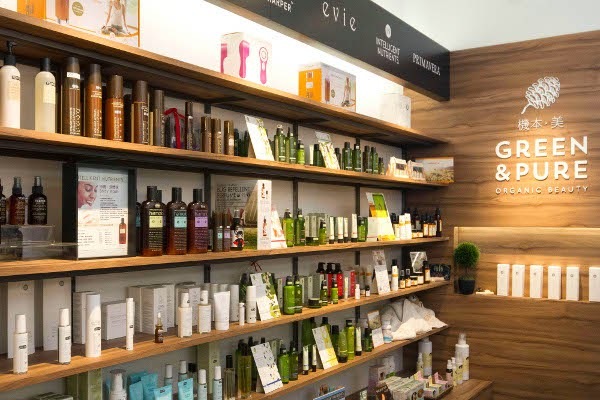 Vancouver Loves Natural Beauty is a semi-regular column that highlights organic and natural beauty and skincare brands founded in our fair city. Quick, think of all your favourite natural beauty emporiums. Bet most of them are in the middle of the city, aren't they? Luckily, newcomer Green & Pure is making it easier for Metro Vancouver's suburban populations to replenish their fave green products through its Richmond-based brick-and-mortar store and comprehensive website. Familiar brands like ILIA, Clarisonic, and Tata Harper share physical and digital shelf space with less common ones like JINSOON and Evie. I caught up with owner Wing Yu about the benefits of going all-natural and what sets Green & Pure apart from its competitors. What inspired you to start Green and Pure? Four years ago I started having problems with my skin and even doctors couldn’t provide a solution for my issues. I began my own research for for insights, and it turns out most of the ingredients used in my conventional beauty products were not regulated, and some of them were toxic or even carcinogenic! I started switching over to organic and natural products and my skin conditions were resolved. I wanted to share my experience and encourage others to use safer products. What sorts of services and products can clients expect from Green and Pure? We provide personal and friendly service where customers can take their time in trying each product in a relaxing environment without feeling pressured to purchase! We handpick all our products and make sure that they are safe and effective. Customers are paying for the ingredients instead of advertisements and brands. What are your top 3 must-haves? Evie Amazingly Soothing Makeup Remover, Tata Harper Hydrating Floral Essence, and ILIA lipsticks. Are there any brands or products that are exclusive to you? Evie is exclusive. The first Evie product I tried was the makeup remover. It totally outperforms mainstream brands, yet it has no toxic chemicals, only fine plant-based oils. JINSOON nail polish and Red Flowers are not exclusive, but we are the only brick and mortar store in the west coast that carries the brand. You have a website as well as a brick and mortar store in Richmond, which is unusual because a lot of natural-beauty-focused businesses are in Vancouver. Was it important to you to be based in Richmond? After living in Richmond for more than 10 years, and having to go to Vancouver just to get natural beauty products, we believe that there should be a place in Richmond where consumers can find natural beauty products. It seems to us that customers in Richmond aren’t quite aware of the benefits of natural beauty products, so we decided that Richmond would be a great location to educate and provide alternatives. What's next for Green and Pure? We are planning to host workshops and seminars to promote organic beauty concepts and to share healthy lifestyle information with others. We believe that if there is a future, it must be green, and pure. Shop Green & Pure online or at their store located at Unit 2165 (Aberdeen Square), 4000 No. 3 Road, Richmond, BC.